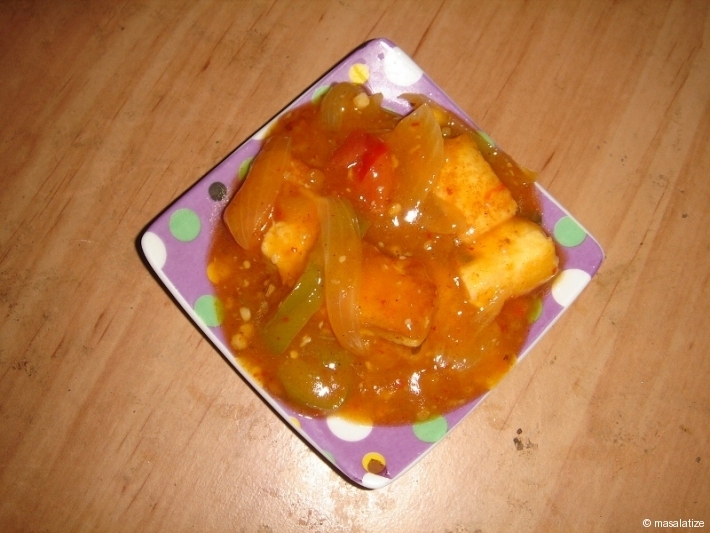 Chilly Paneer is a spicy dish. 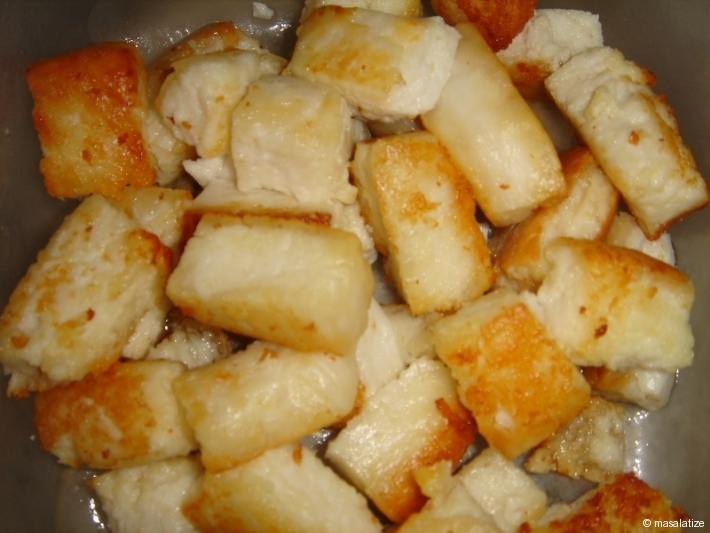 Heat oil in pan then make small cubes of panner and light fry it. Keep aside. 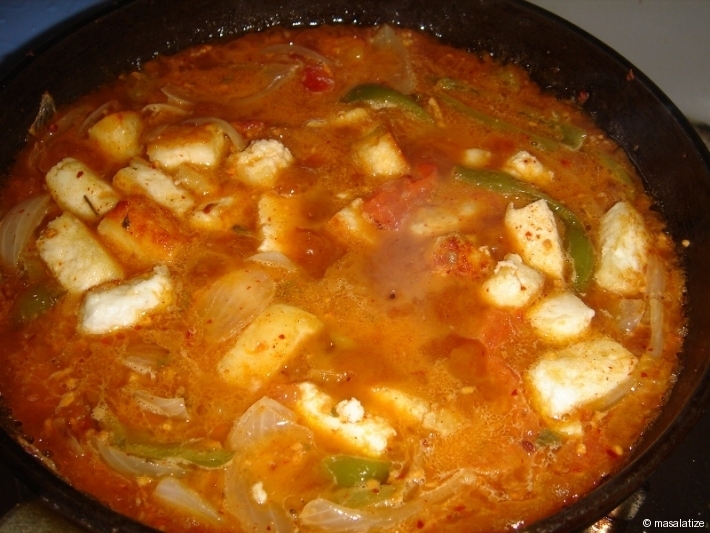 Put rest of the oil in kadai then add garlic paste. 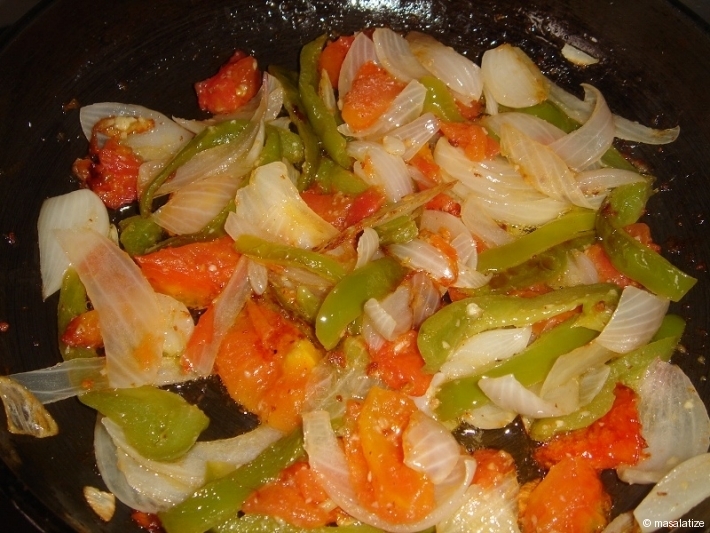 Put finely chopped onion, tomato and capsicum and fry it until it browns.